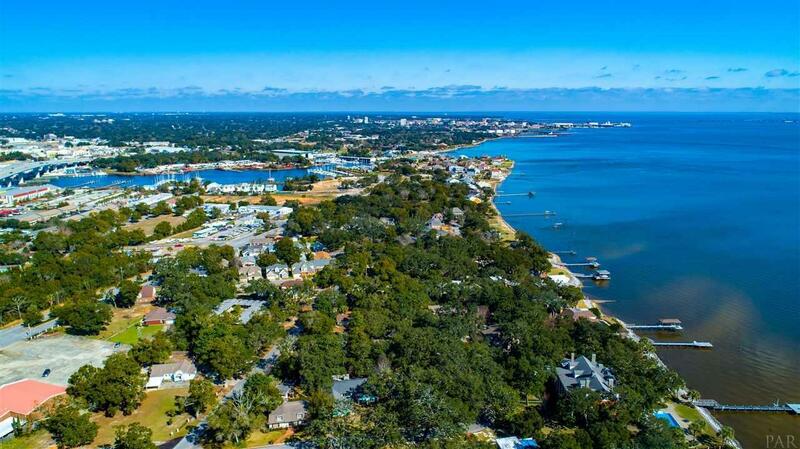 The best that Pensacola has to offer! 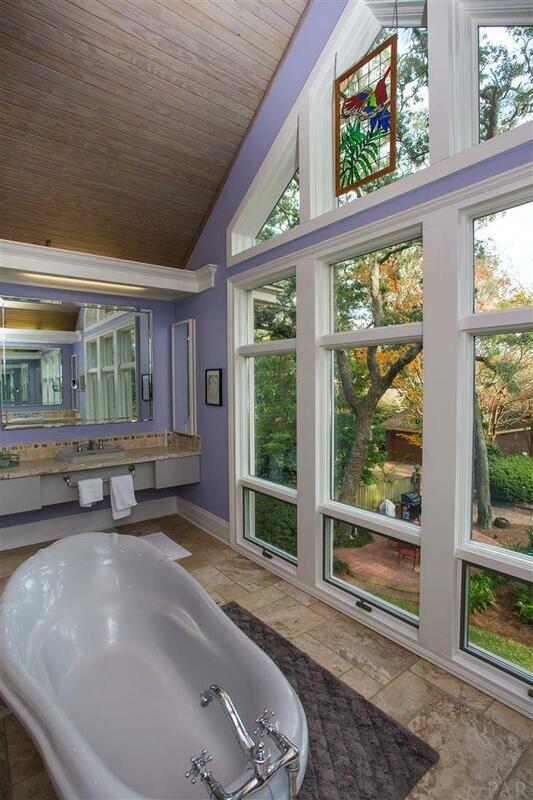 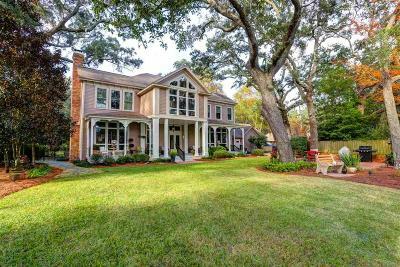 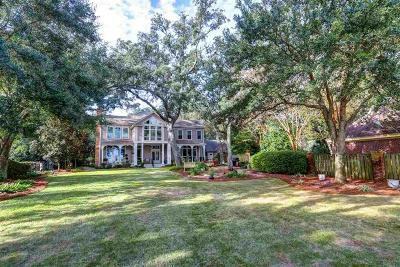 Surrounded by towering 200-Year-Old oak trees, this home&apos;s lush landscape opens to breathtaking views of Pensacola Bay. 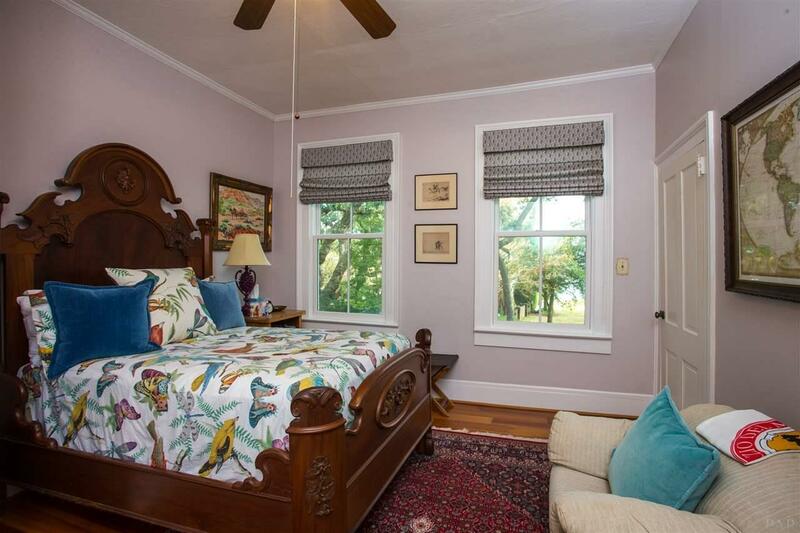 Seaside sunsets and sunrises out bayside windows. 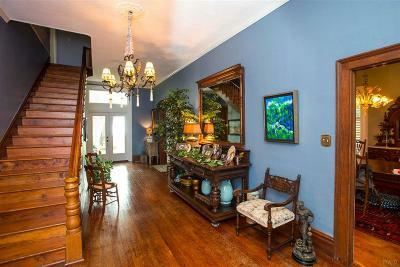 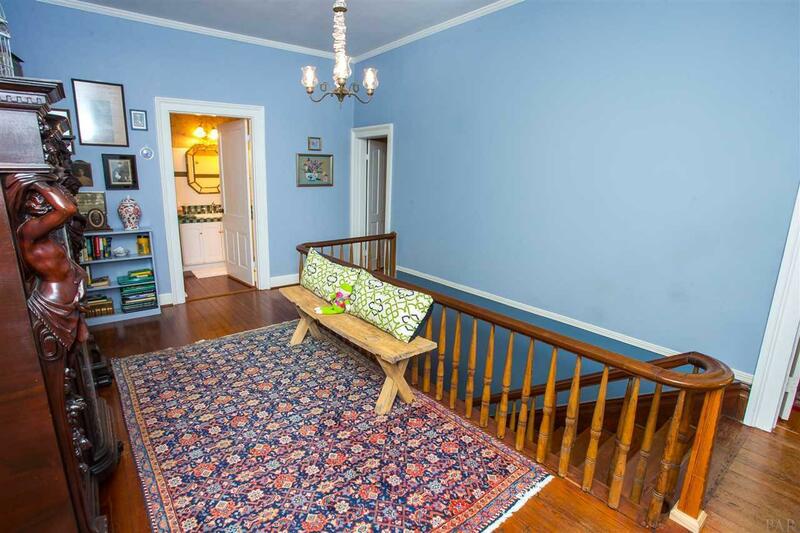 As you enter the grand hallway, you will love the soaring ceilings and original heart pine floors. 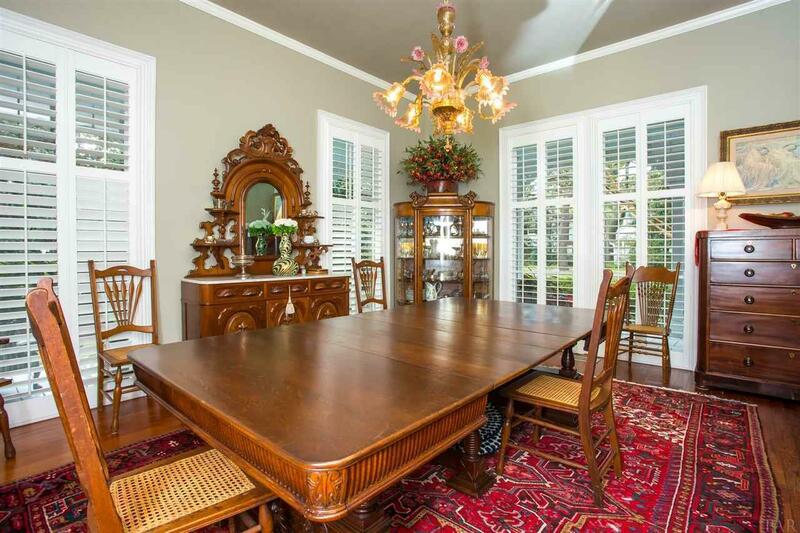 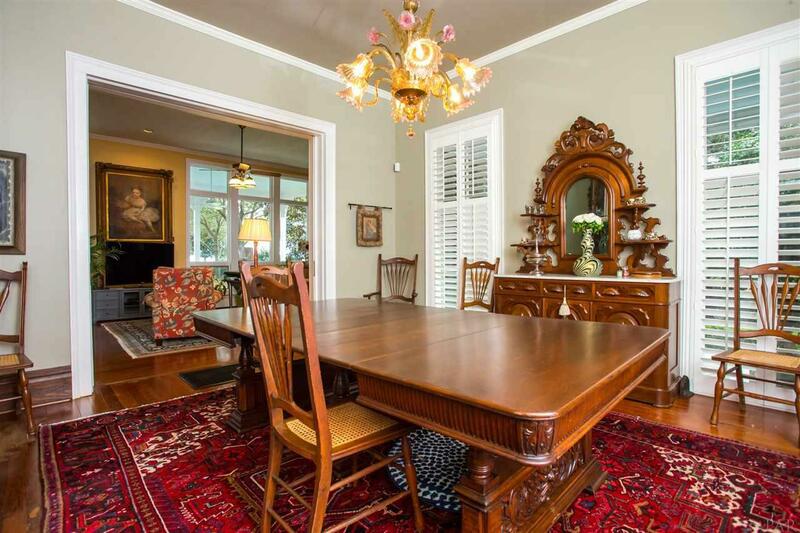 Downstairs you will find a large dining room with enough room for a table to seat your even your extended family. 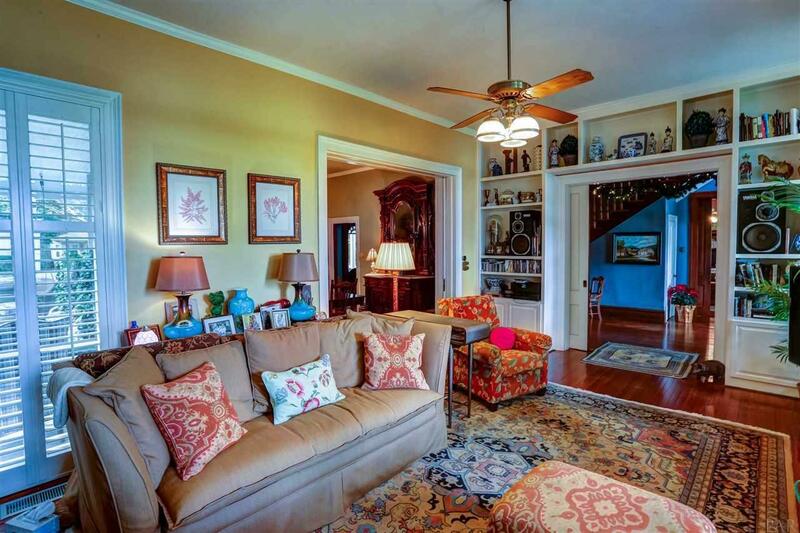 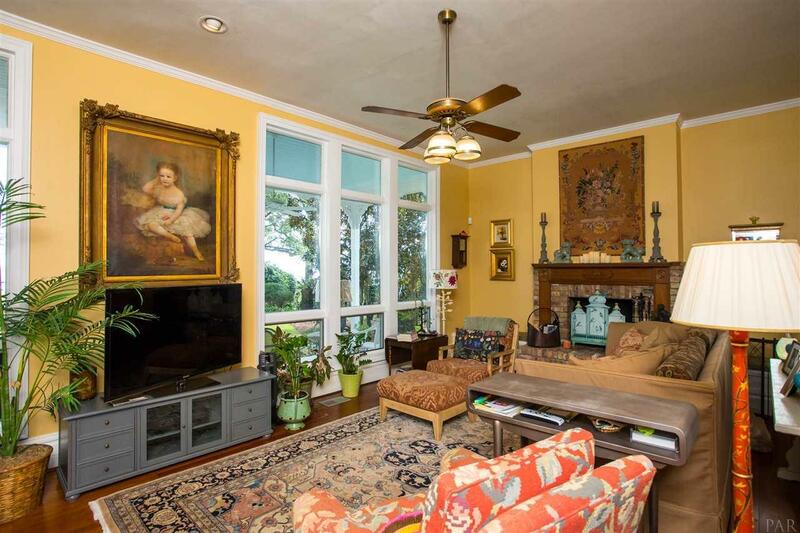 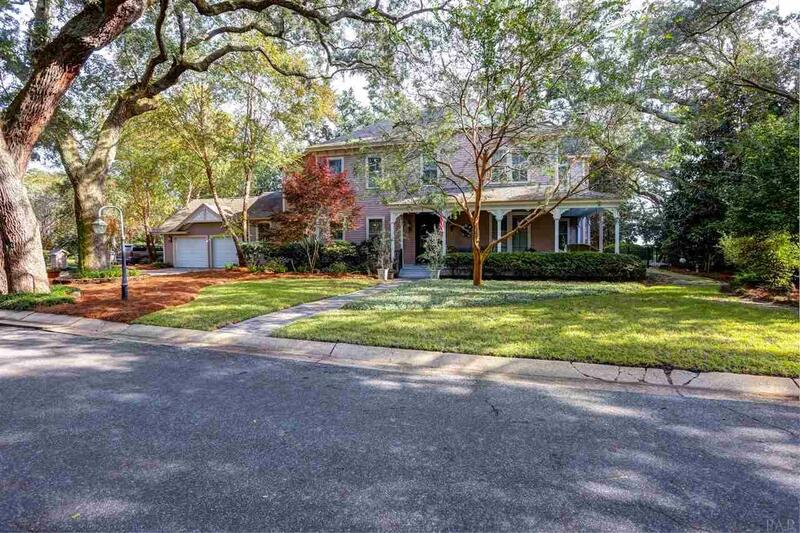 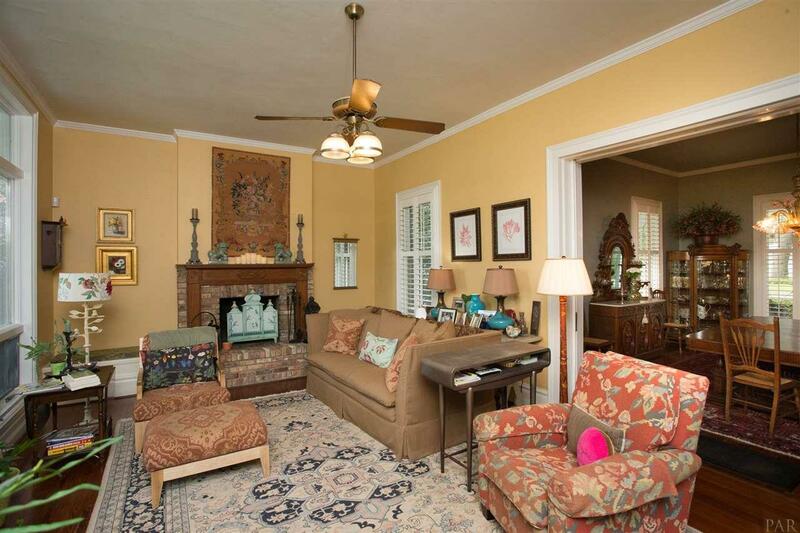 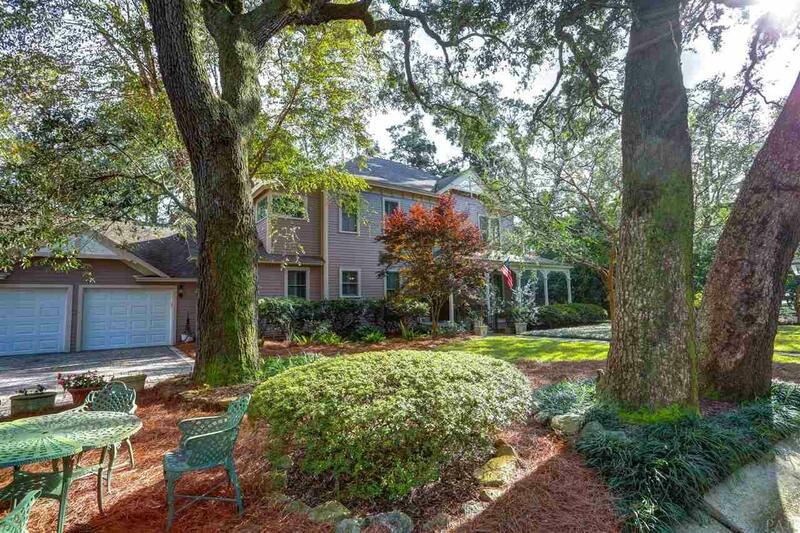 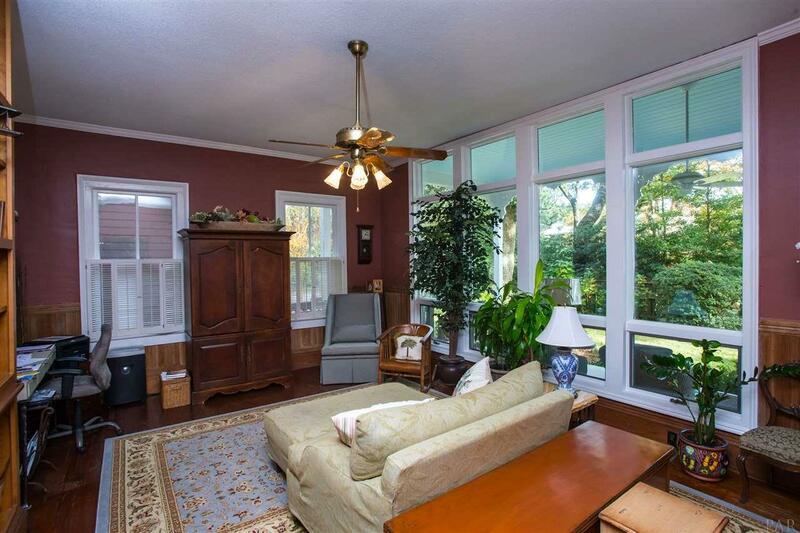 Just off the dining room is a lovely living room with a wood burning fireplace and views of gorgeous Pensacola Bay beneath towering live oaks. 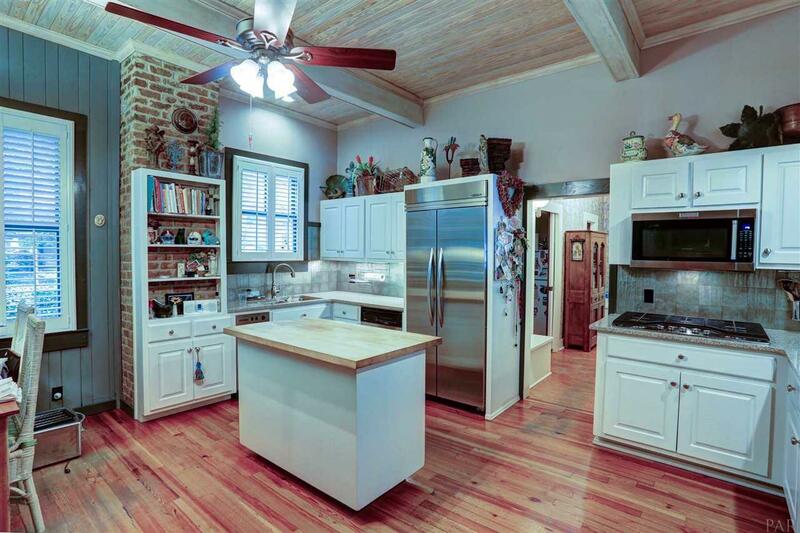 The kitchen features a gas cooktop, double ovens and an eat in kitchen area. 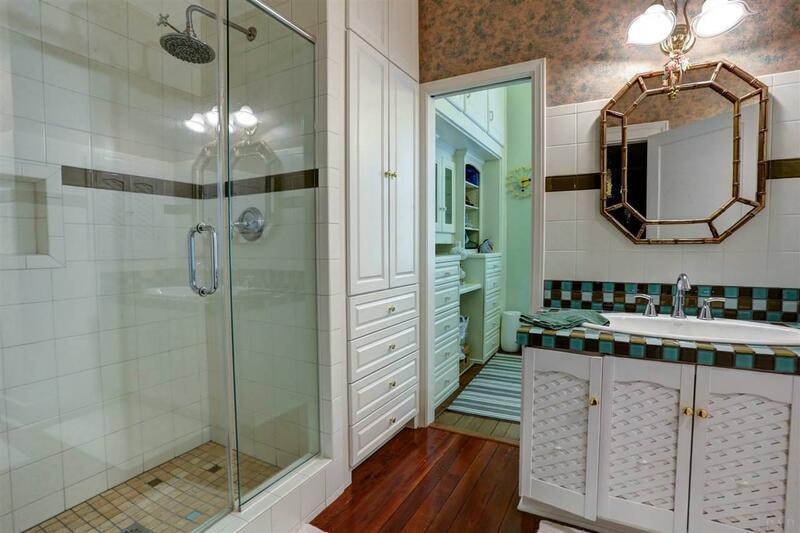 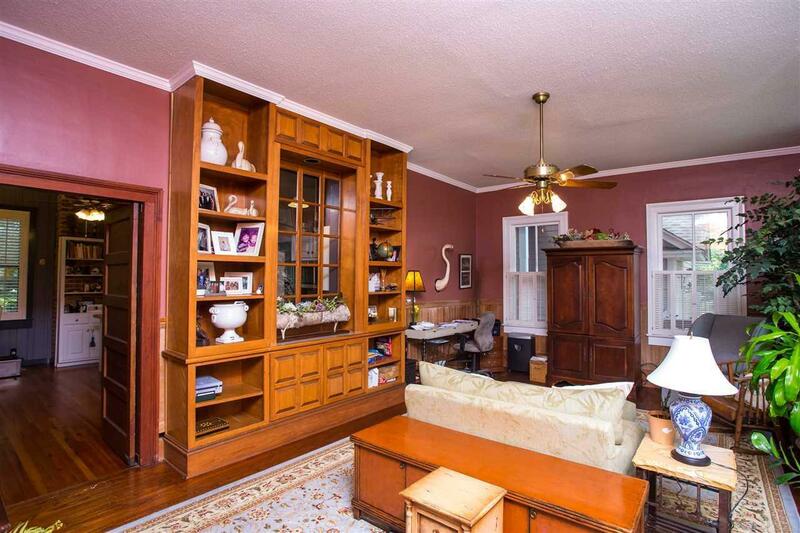 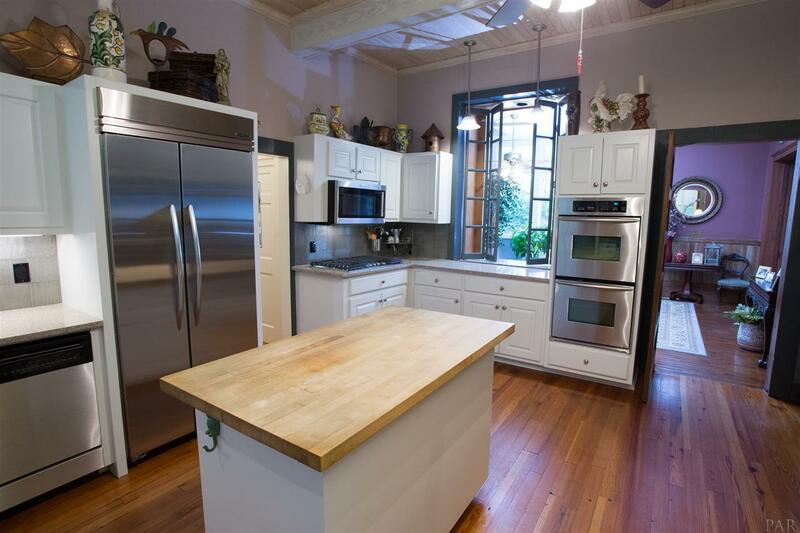 There is also a walk in pantry and a butler&apos;s pantry with a wine cooler. 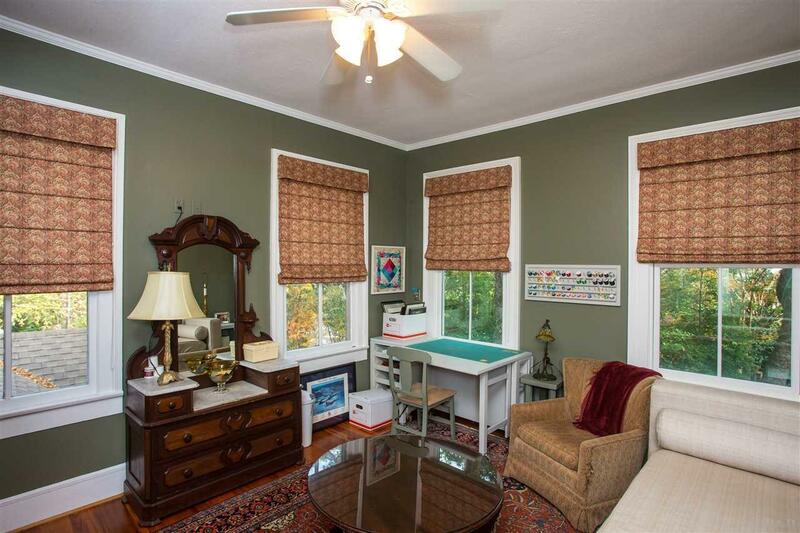 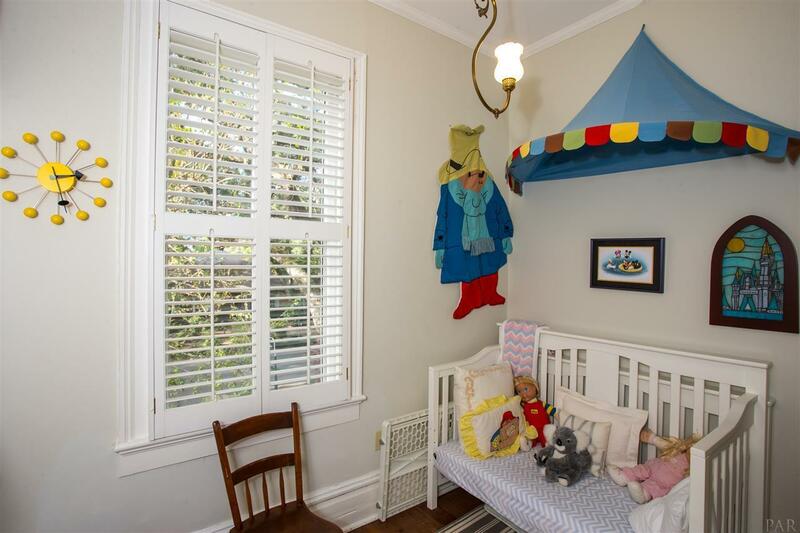 A cozy den overlooks the bay and has beautiful bookshelves and large pocket doors. Note the hand carved wooden banister as you make your way upstairs. 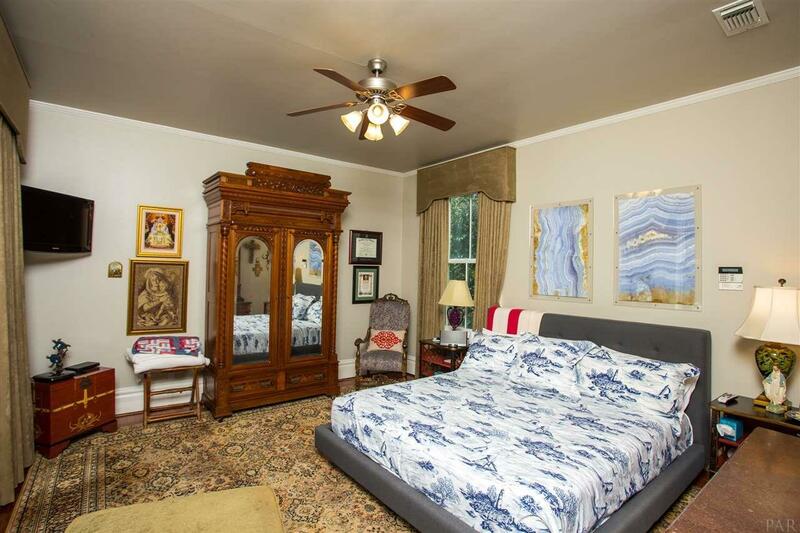 Upstairs has 5 bedrooms and 3 bathrooms. 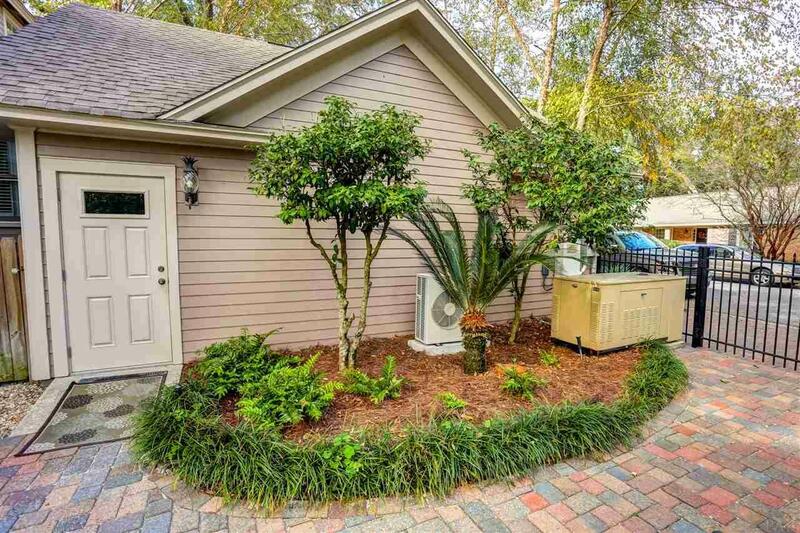 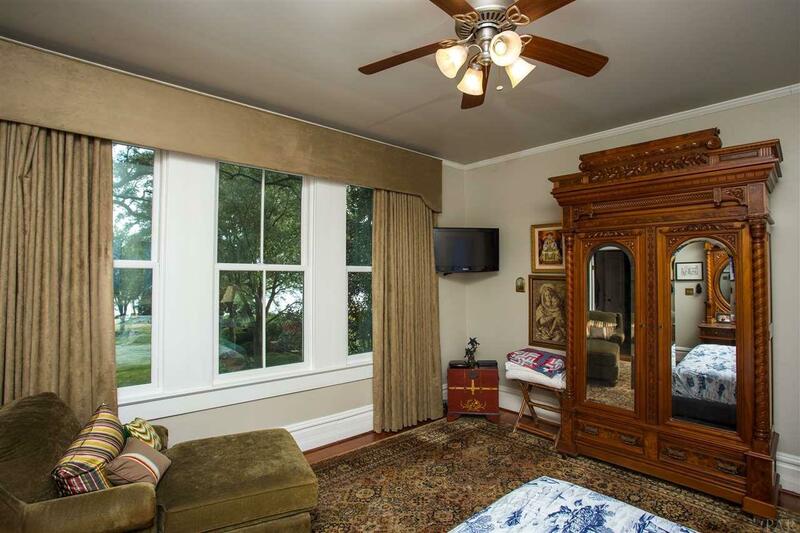 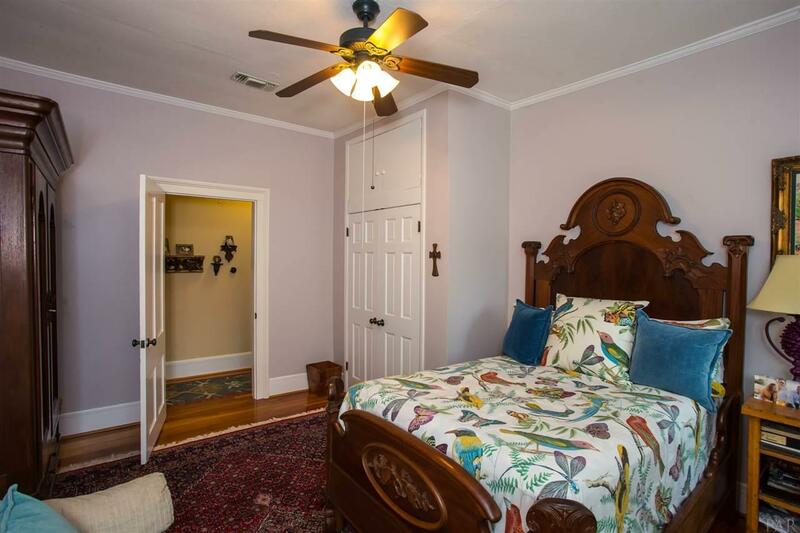 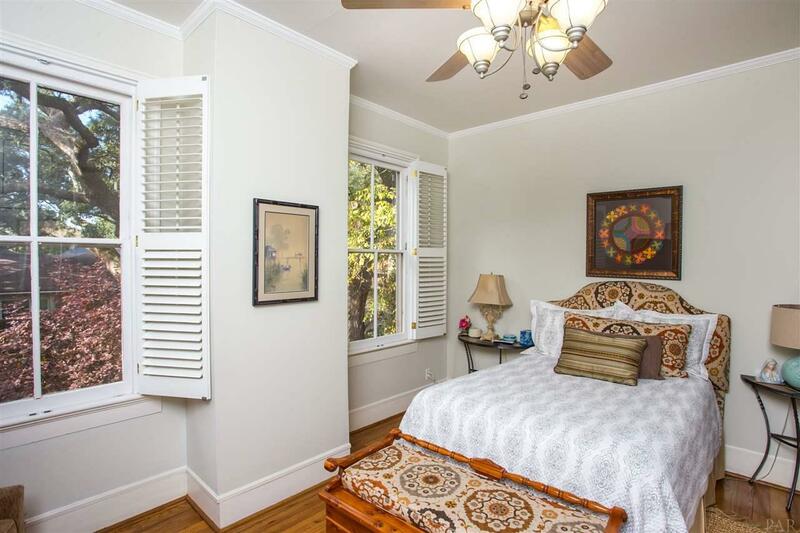 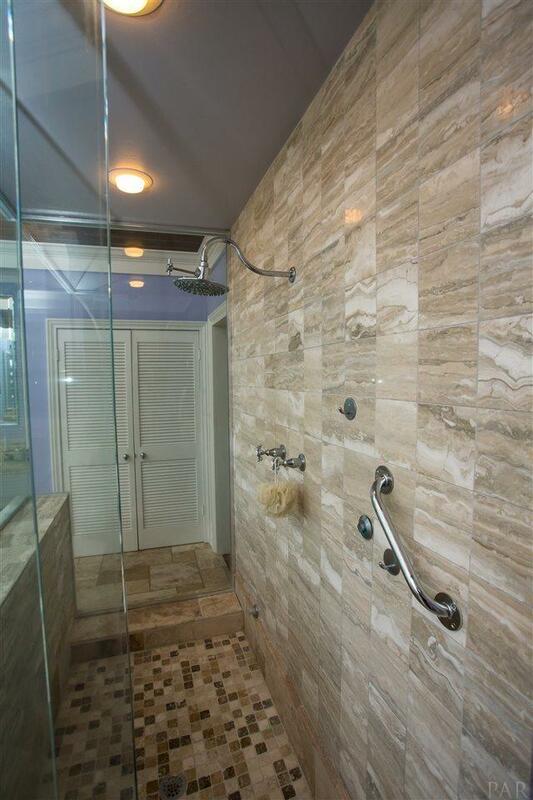 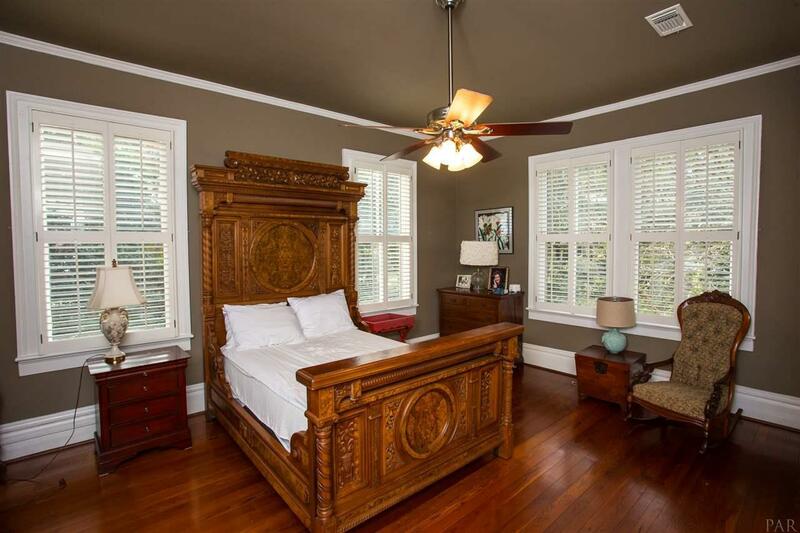 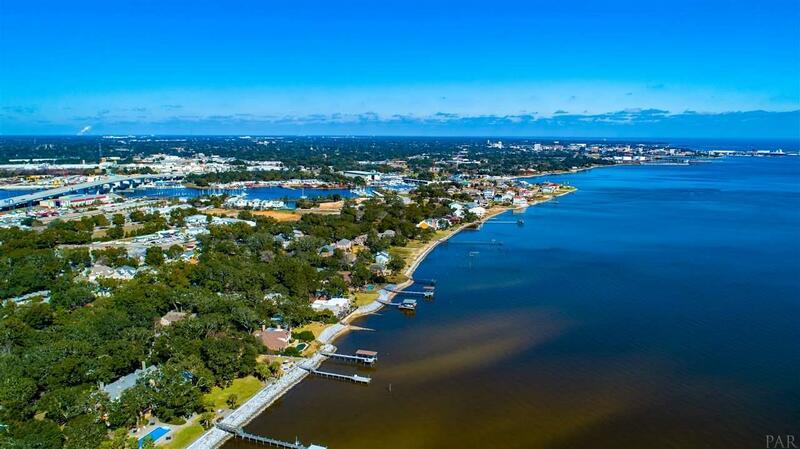 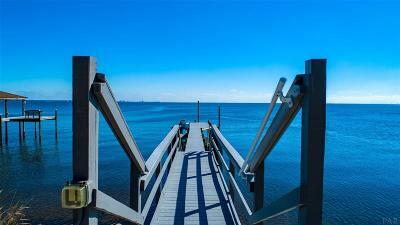 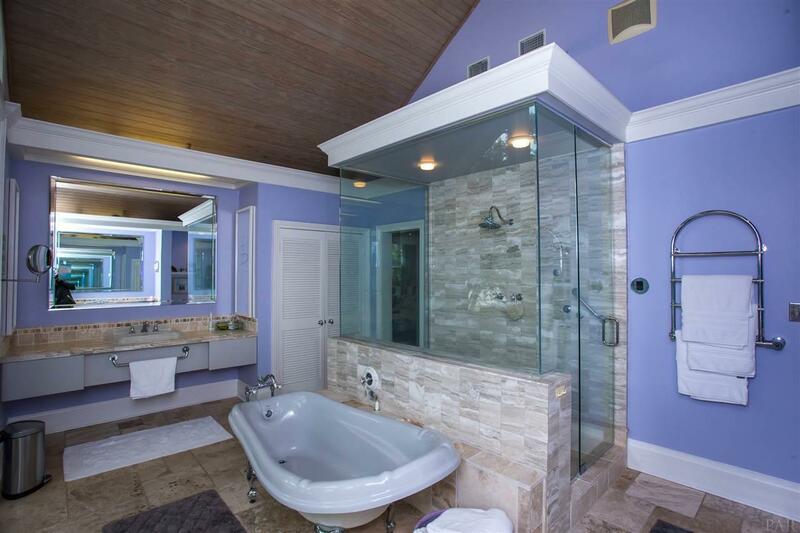 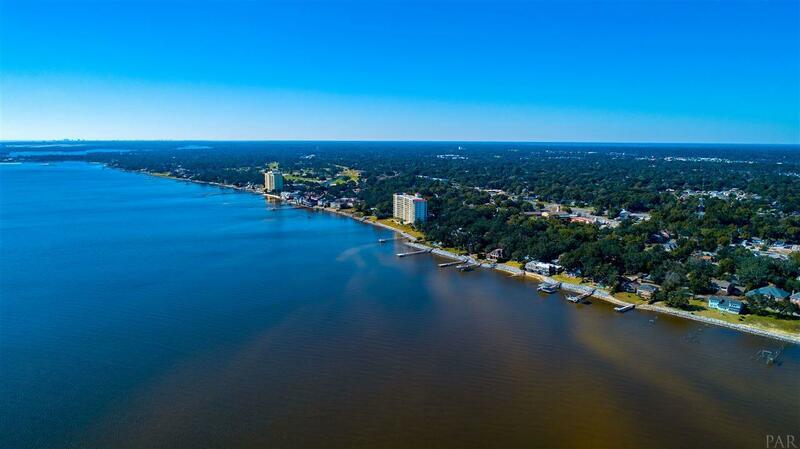 The master has a large walk in closet, a large master bath which has a steam shower, heated towel rack, double vanities, slipper tub, bidet and large windows overlooking Pensacola bay. 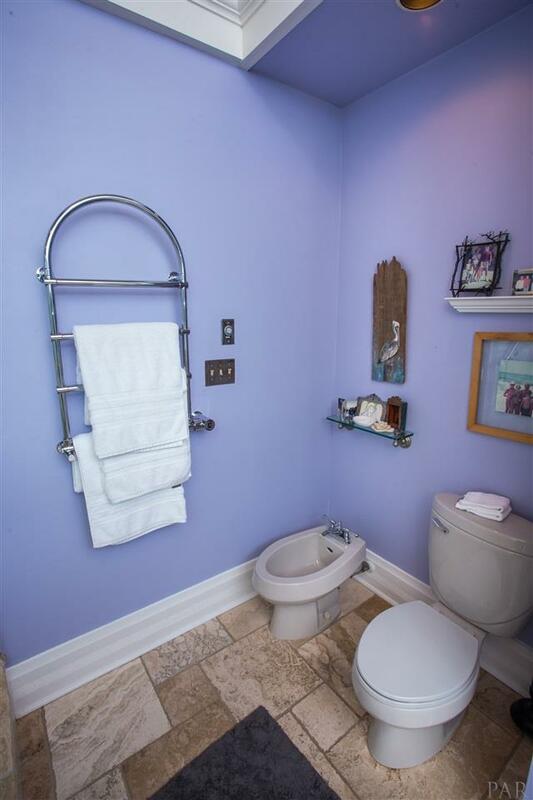 There is also an upstairs laundry room. 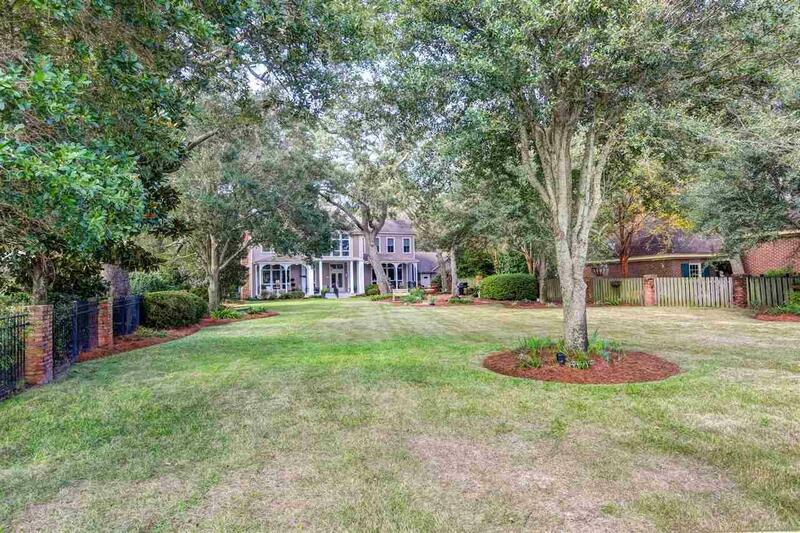 This luxurious estate has geothermal heating and cooling, Hardie board exterior for low maintenance, plantation shutters, tall ceilings, original hardwood flooring, a whole house generrator, gorgeous porches on the front and back of the home and flow through decking on the dock. 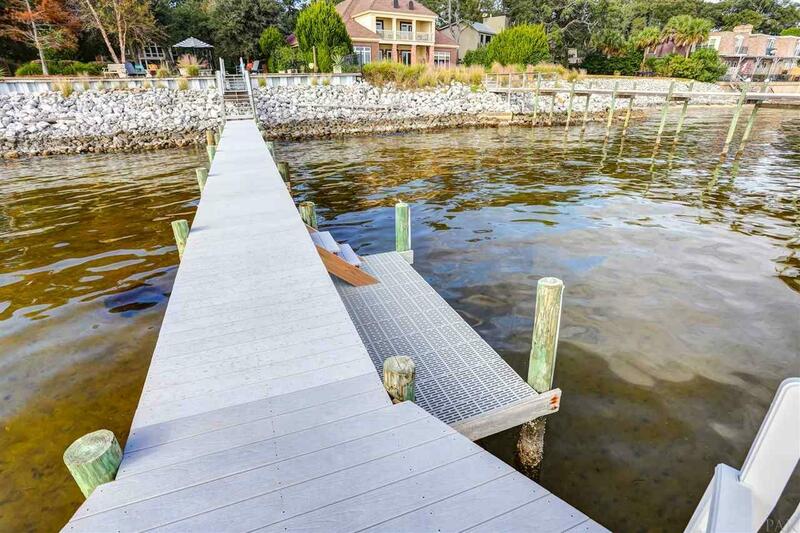 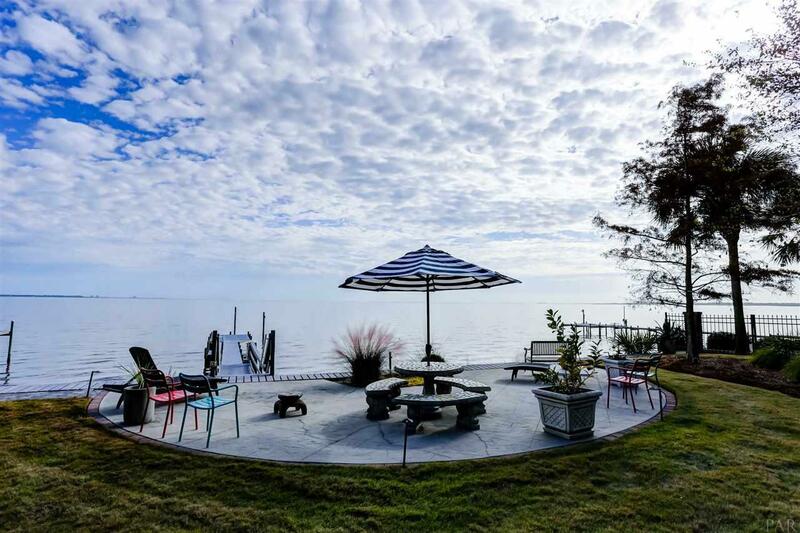 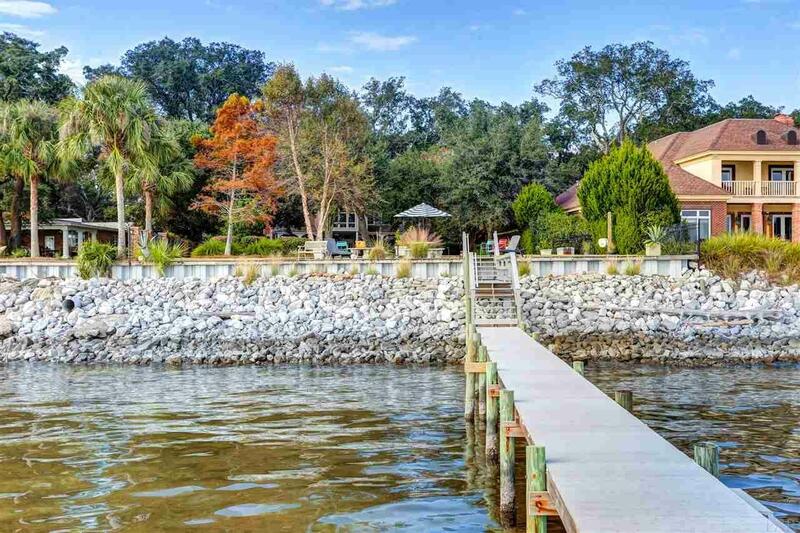 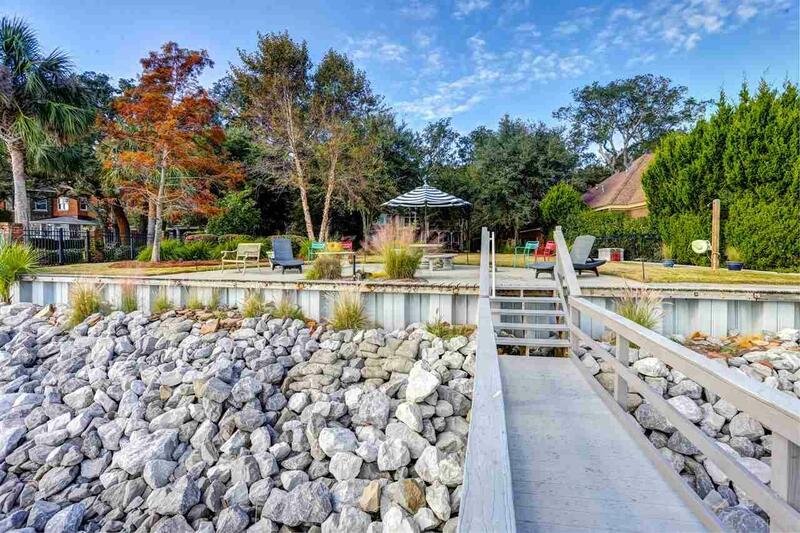 The sellers also added a seawall to the bayside of the home even though the home has never flooded. 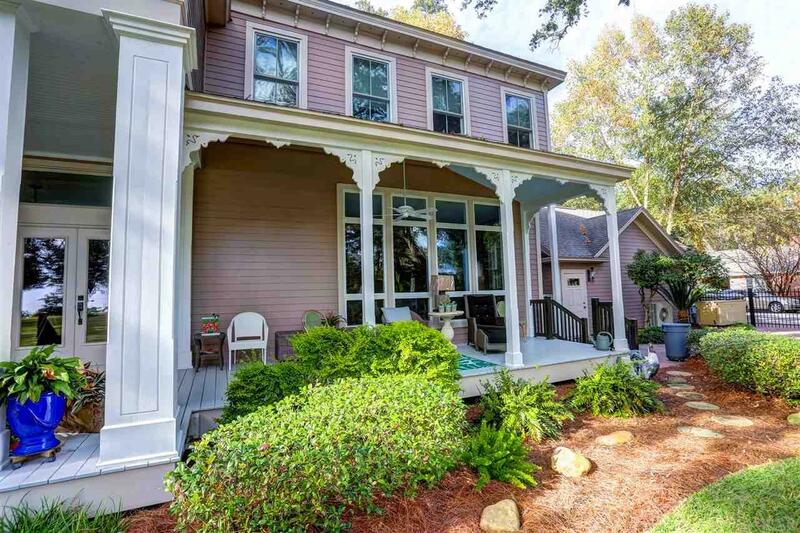 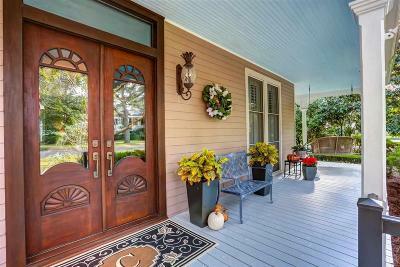 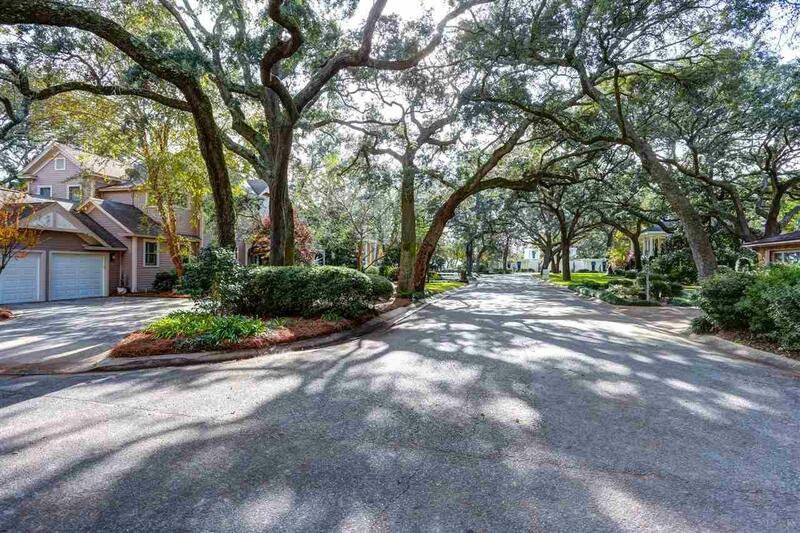 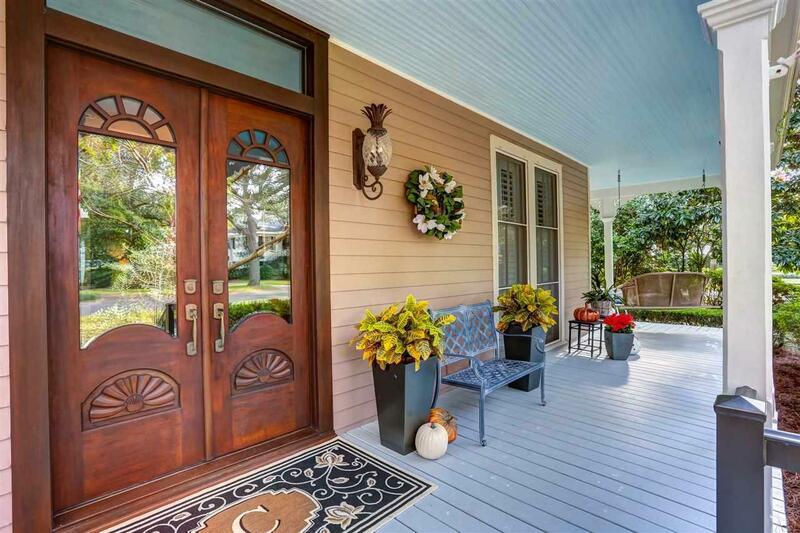 This waterfront beauty invites you to spend as much of your time outdoors as you do indoors.Historic charm and waterfront beauty... all that there is to love about our town in one gracious turn of the century home!